How would I add an outline / border around this image? How would I add a border / outline to them without having to draw it myself? I'm looking for methods related to Photoshop, Sketch, or Illustrator. Group the Unicorn if it's not already a group. 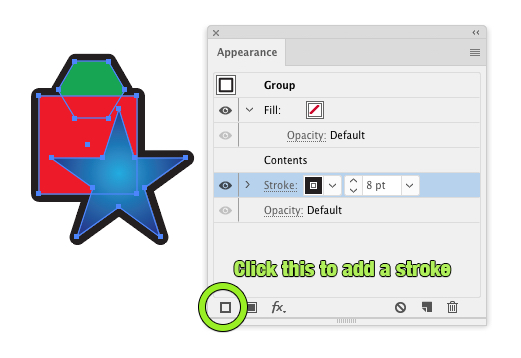 Then in the Appearance Panel add a new stroke to the group. Click and drag the stroke in the Appearance Panel, so that it is below the <Contents> item in the panel. You'll then have a stroke around the entire group which you can adjust. Photoshop : Layer Style > Stroke will add a stroke around an entire layer or smart object layer. Although, for vectors using Illustrator or Sketch is probably better. 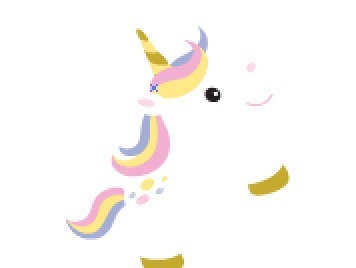 I think this is not possible, because the border of the unicorn is white in color and cannot be white. 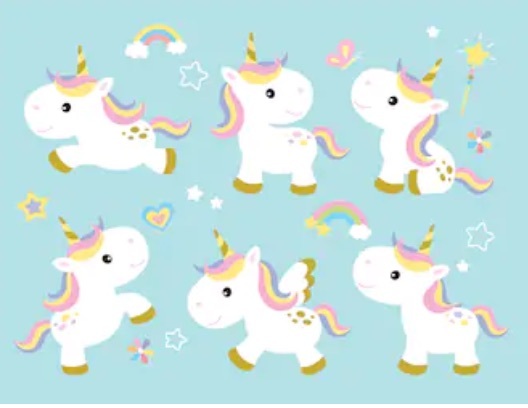 You can find places that offer unicorn images with black borders. Not the answer you're looking for? Browse other questions tagged adobe-photoshop adobe-illustrator vector sketch-app outline or ask your own question. Is there a way to draw preset 'custom shapes' in InDesign? Adobe Illustrator: How do you expand a vector to the extent of the stroke? How can I flatten, combine, or trace non-overlapping shapes in Sketch? How to make Sketch show paths which have no fill or border?